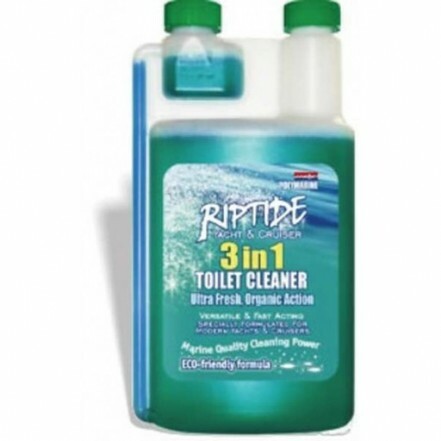 Eco friendly three in one toilet cleaner. Triple action: cleans, decalcifies and freshens exposed surfaces. Lubricates moving parts and seals. Promotes bio-degrading action in holding tank. Hygienic, naturally powerful. Safe to use. Squirt a small amount into the toilet and under the toilet rim. Leave to soak. If needed, scrub with the toilet brush. Flush. Give final squirt to remain in toilet pan when leaving craft unused for a period of time. An Active blend of specially cultivated bacteria. Living culture. Wash hands after use. Packaging bottle made of polyethylene; cap of polypropylene. Polyethylene and polypropylene are 100 % rcyclable.